Our discs change with age like any other aging process or wear and tear, but this aging can be accelerated by previous injuries. Smoking or a family history of degenerative disc disease can also accelerate the normal wear and tear processes. 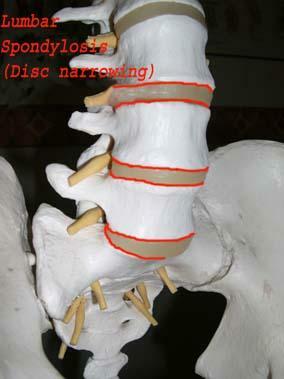 In middle age the central nucleus starts to dry up, changing its nature from a squidgy toothpaste like material to a tougher fibrous stiffer substance.The discs gradually lose their ability to absorb shock, leading to a shrinking compression of the disc. 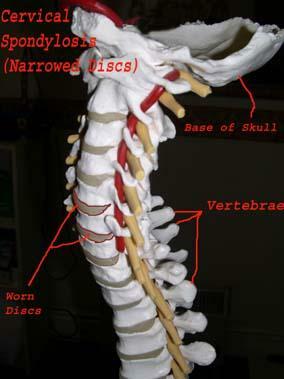 This allows the bones or joints of the spine to start to rubbing against each other.